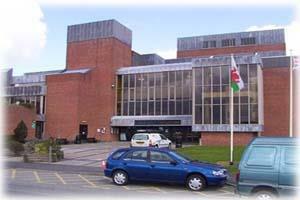 Theatr Clwyd TheatreTheatr Clwyd is Wales’ major drama producing operation, originally built as a Regional Arts Centre. Theatr Clwyd has a two main performance theatres - Anthony Hopkins and Emlyn Williams, along with a multi function room - Clwyd Room, Cinema, 3 galleries, restaurant, bar and coffee bar. The theatre is well equiped for disabled visitors with allocated parking, loop, sur/sub titled and described performances, and lifts to all floors.